My daughter and I have just enjoyed five magical days in Venice. I haven’t had time to sort through my many photos, but I love the skies I managed to captured on my mobile phone. Posted in photography, SkywatchTagged canals, Cannaregio, dawn, golden, gondolas, moody, sunrise, travel, VeniceBookmark the permalink. I gasped out loud! OHH! These take my breath away! I can’t wait to see more, and so have this visit on my bucket list! Thanks for sharing! What a wonderful city. Love the images, especially the first one. you took these with a mobile phone? amazing!! happy to hear you had a great time. I’m drooling!!!! How beautiful! and with your phone. . . AWESOME! I can’t wait to see what comes out of your camera. Lovely moods through different lightings! Oh my, I knew you would bring out the best in Venice. What fun for me to find such a wondrous reminder of having experienced those same amazing skies, ancient roads and rippling waters. Magical is an apt description and your photos are stunning! Can’t wait to see your other photographs, these 1st two of Venice are fantastic in drama and awe. So sure that you have had a magnificent time in Venice, seeing lots of special aspects, gorgeous skies, like the ones above, and in time we are going to look at them in your future next wonderful and magical posts. I’m looking forward, knowing that exquisite details, from daily walks, will appear revealed by your camera lens!! A good day of sunny autumn! Your gorgeous views from luminous daybreak to moody skies recall our visit to Venice where we stayed in a B & B along the Grand Canal. Gorgeous ! No other words for this fantastiv photos. I missed your posts. These are breath-taking photos. Thanks. I’m not sure I’ve ever seen more beautiful pictures of Venice. I especially like your second picture. Fiona, your photos are absolutely wonderful. I did not know such an enchanting Venice. Wonderful images!!! If these are the ones you got on your phone, I can hardly wait for the ones on your camera!! What a marvelous city.. I have always read and heard things about Venice… Would love to visit there myself sometime… Can’t wait to see more of your photos… Thanks for sharing. just beautiful! love that first one! Very nice, I love that wonderful light on the beauty of Venice! Oh yes, I would love to be floating along on a boat, lovely. Breathtaking skies and colors and superb captures as always! And your captures are – – as always a great way to start the day!! Thanks for sharing the beauty!! Hope you have a lovely weekend!! I’m glad you enjoyed it and got some good pictures. How did you get to Venus anyway 😀 ? Gorgeous golden sky and moody clouds! Venice, here we come! This is beautiful, Fiona! Great shots from Venice. Nice use of light. Such a variety of colour and mood, in only two pictures! Positively exquisite captures Fiona – you do indeed have a wonderful gift with your photographic skills and I am grateful you choose to share the results. So glad you and daughter had a lovely time in magical Venice. Great photos of a wonderful city. Lovely images from Venice.. You sure are lucky, I know you enjoyed your time with your daughter too. Happy Skywatching! Have a great weekend! Both photos have such depth – I felt as though I was seeing those scenes first-hand. Will look forward to your others! What gorgeous light. They are both wonderful, magical but that’s first one, oh my, it is stunning!! Lovely – I’m looking forward to seeing more. Your shots from Venice are fantastic. Oh my gosh, just pure magic. A feast for the eyes and if these are with your phone I can’t even imagine how beautiful the rest wll be. I was sure you’d have a wonderful time, but it is always glad to know you had a great trip and are home safely. these are so beautiful. waiting to see more. That first pic especially is magical. Would love to see Venice. Great peaceful photos. That sky shot is to die for – my goodness. I love Venice. Can’t wait to see what else you post. How did your daughter like her visit – was it her first trip? Beautiful photos of a beautiful city, Fiona. I adore venice! The golden early morning light is stunning. That first shot is great, Lady Fi, I love it! Wow that’s magic! Wonderful shots! 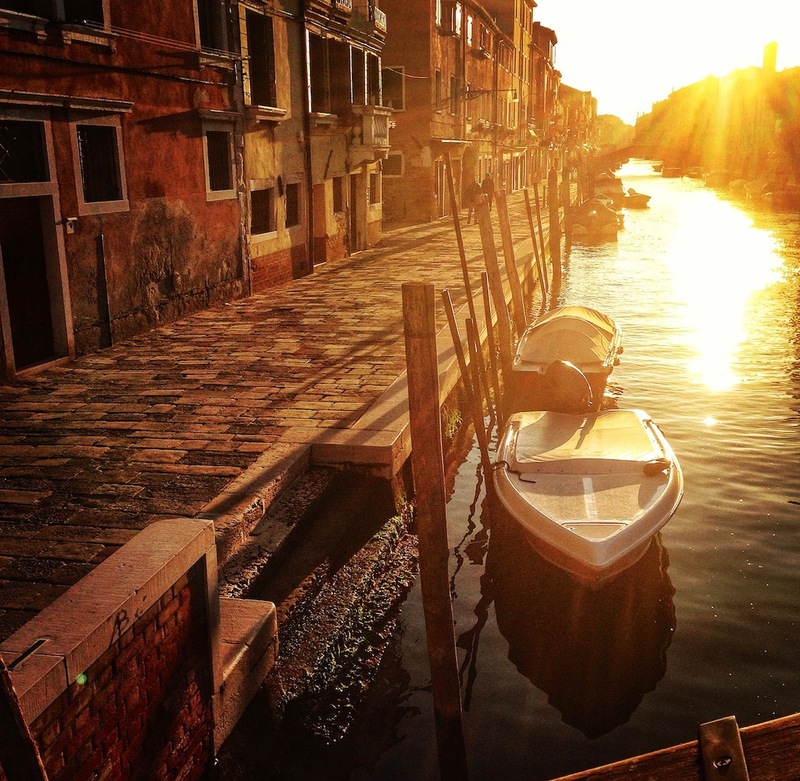 What romantic sky shots….morning or evening Venice is absolutely beautiful. Excellent job! The clouds have added magic, great pics. Venice! OMG. “gifts of moody cloud” – I love that, and the morning dazzle too. 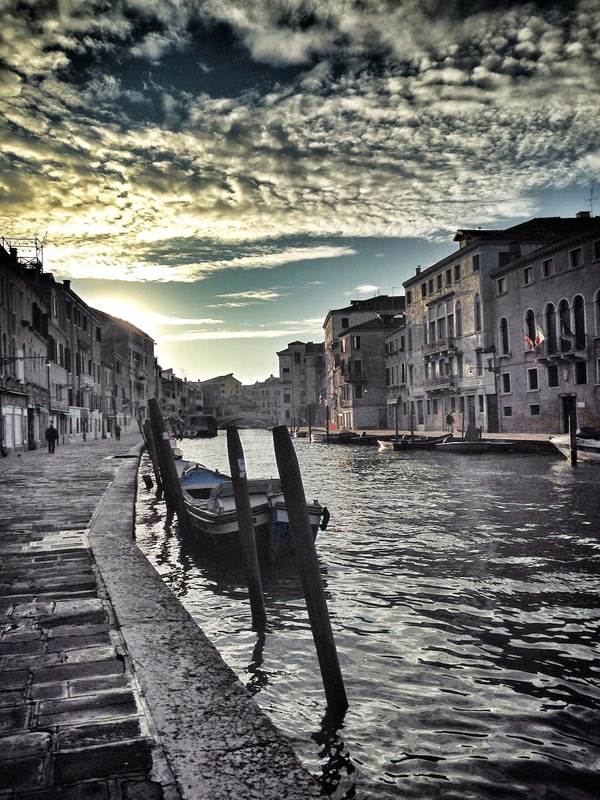 You certainly captured the different moods of Venice…I know the two of you had a wonderful time. Ah, lucky you! I long to visit Italy, land of 1/4 of my forebears. 🙂 I love the first photo, especially – a beautiful, ancient light on a beautiful, ancient city. Magical! Such gorgeous skies! visited Venice about 11 years ago and I loved it. Happy to see it through your lens again. This trip looks like it was a dream my friend. I did a lot of sighing….as I browsed through this post. smile. Venice is beautiful ! Great pictures! Beautiful Venetian skies! Thanks for visiting mine. These are really beautiful, you must have enjoyed your trip very much, have a lovely weekend. You really create magic with capturing the light and textures. two compleately different skies and images of Venice. Love them both in different ways. These are truly so beautiful, Fi. I’ll bet it was an amazing time for you. Wow, I love that early morning light! Looking forward to seeing more. Venice is my favorite city of all I have visited. It is so unique and you captured it well! Hi! Your photos are very beautiful. I like the last photo very much. Thanks for sharing. Veldig vakre bilder! Jeg kjente jeg fikk lyst å reise :-)) God helg til deg! Sky and light and water……my God, I love the view from your heart. Such artful compositions! I especially liked the way you took advantage of the sunlight flare to accent that image! Stunning! Can’t wait to see more from your trip. A gorgeous series that does convey the golden morning and beautiful sights very well. Very special to see. The golden light in your first photo and the threatening clouds in your second picture. Nice contrast and very nice color. These are stunning scenes, Lady Fi! Enchanting, captivating, inspiring of places far away that I hope to see someday. Stunning photographs! The first one is just terrific!!! Amazing skies. I look forward to seeing more when you’ve been through your photos. I bet you took loads. Swoon! Amazing photos! I’ve been to Venice once and I loved it. I definitely look forward to seeing more photos from your trip. Nice photos! I’d love to go visit that place too. Looks romantic. That golden shot is just breathtaking! You captured it perfectly.